Rotary Club of Elthorne-Hillingdon - Welcome! We're a small, friendly, club based in Uxbridge, Middlesex, drawing on men and women from across Middlesex and Buckinghamshire who want to make a difference. If you think of Rotary as a dull, men-only business club, filled with elderly bores who drink sherry and eat over-cooked chicken each week, then think again. Rotary really has re-invented itself to become relevant for the 21st century. It's a dynamic organisation which has led the way towards nearly eradicating polio and is involved in countless projects, in this country and abroad. We are a part of Rotary International, which is the world's largest service organisation for community-minded folk. Our members are enthusiastic men and women who want to make a difference, and we come from a wide range of backgrounds and age groups - we've even got a midwife on standby for any pregnant Rotarians, and our lady president's garage does a good deal on MOTs! Play our part locally, nationally and internationally. Click on Contact Us on the website, select Membership and send us an email. Simply pop in to see us on a Wednesday evening at Uxbridge Sports Club (postcode UB8 1NR). We meet in the bar from 7pm for 7.30pm. If you're a visiting Rotarian, please contact John Bruton on 0208 866 6325 or email: attendance@elthornehillingdon.rotary1090.org - ideally by the close of play on Monday. We look forward to meeting you and guarantee that you'll receive the warmest of welcomes. Keep scrolling down for details of forthcoming club meetings, a map with details of where to find us, and also links to our Facebook and Twitter feeds. Rotary is about having fun and socialising, so why not join us on a Sunday morning for our weekly walk? Every Sunday, we gather at either at the Ruislip Lido cafe or the Rickmansworth Aquadrome car park for a leisurely mile-and-a-half to a two-mile stroll. Then we get down to the important business - coffee and a chat! To find out where we're walking this week and let us know you're coming with us, drop us a line using the Contact form dropdown and select Weekly Walk. 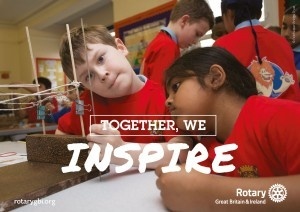 Rotary in Great Britain and Ireland (RIBI) runs a number of nationwide competitions for young people - entries are organised locally by clubs. 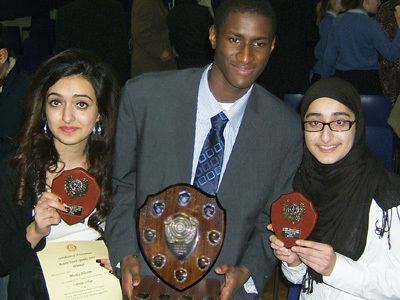 with winners going forward to area, regional and eventually national finals. Every year, the Rotary Club of Elthorne-Hillingdon supports a variety of local charities including The Samaritans, and the Michael Sobell Hospice, which based at Mount Vernon Hospital in Northwood. We recently presented the Guide Dogs for the Blind with a cheque which will help to pay for and train a puppy, who will work with a blind person in the area. Every year we devote all of the proceeds of our annual Charity Golf Day to a single charity. In 2015 we gave £9,000 to Royal National Lifeboat Institute. 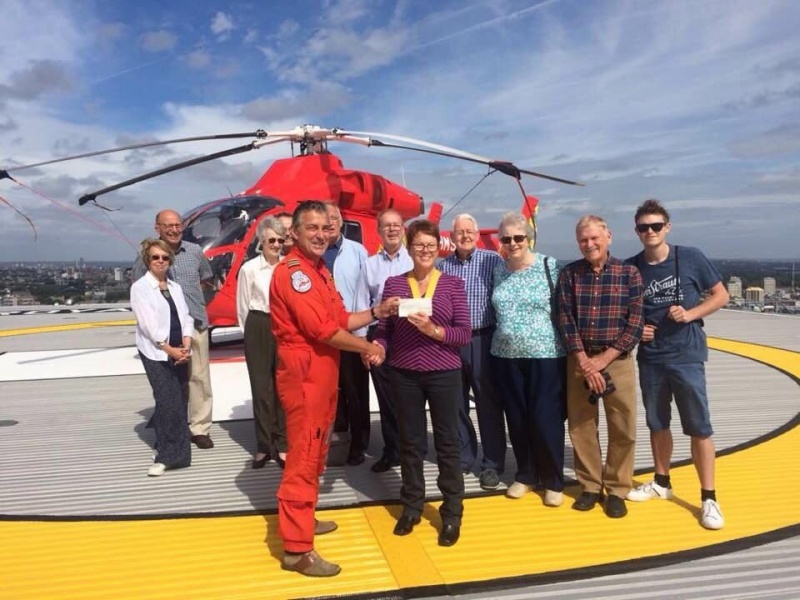 And in 2017, we presented the London Air Ambulance with a cheque for £8,000 from the golf day's proceeds - which is apparently enough fuel for 16 busy days! We also support other national charities in other ways, through fund-rasing and also activities, such as the Stroke Association's Check Your Blood Pressure Day, every April. 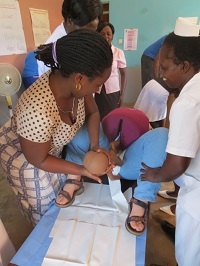 We support many international projects, directly through the Rotary Foundation, one of the world's largest private charities, but also through a variety of other international charities. The Rotary Club of Elthorne Hillingdon, chartered in 1978, has a Trust Fund which is a registered charity (No.1032574). 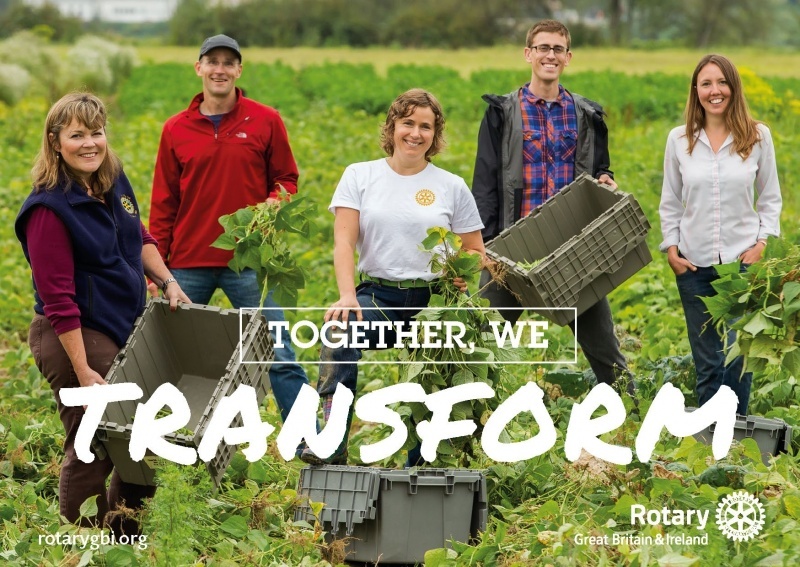 Whether it is Foundation, youth, international, membership or fund-raising, Rotarians have an opportunity to focus on a particular aspect of the club's work. President Randeep will be turning the clock back to the fashionable 1980s for her theme for a President's evening - venue still to be determined. With the new Rotary year just around the corner - it begins on July 1st - this is an opportunity to reflect on the past year and elect officers for the new year. This is the big showpiece for the year for District 1090 - aimed primarily at new club officers for 2019/20. It will be held at the Christ Church Centre in Henley. Following the successful big band concert held at the Watersmeet in Rickmansworth earlier this year in aid of the RAF Benevolent Fund, we'll be hearing more about the charity and their work.